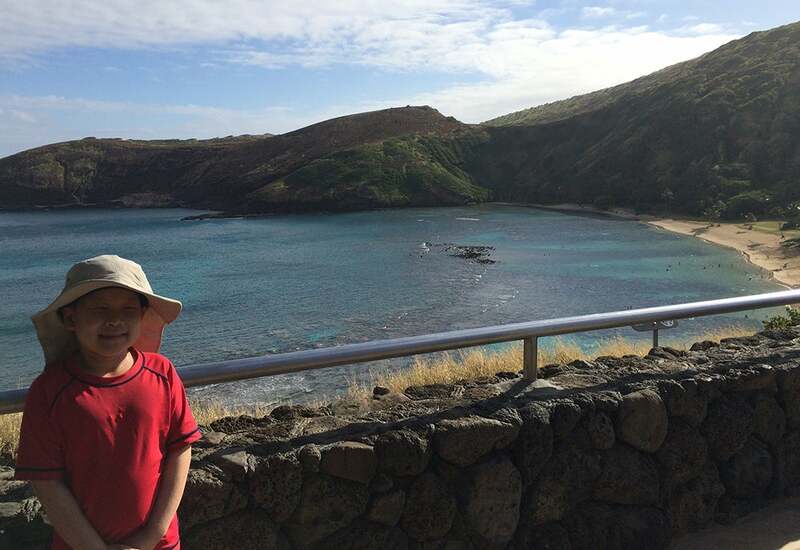 Li Kung and Eunice Park had just settled themselves and their two children, Jaemin and Soomin, on a red-eye flight home from Hawaii when an attendant alerted them that they needed to deboard the plane. Having taken extensive measures to make their son, Jaemin, as comfortable as possible, including dressing him in his softest pajamas, putting gloves on his hands, and hanging sheets around their seats, Kung and Park respectfully declined the request. 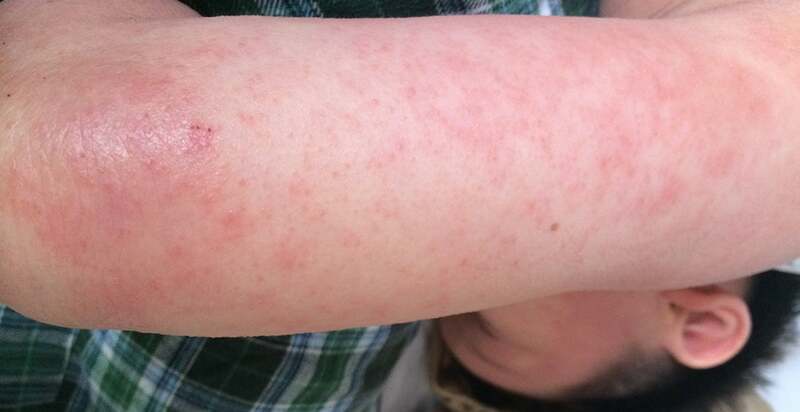 Jaemin’s skin during a flare up of atopic dermatitis. To their dismay, the attendant informed the couple that a fellow passenger was concerned that Jaemin was carrying an infectious disease. It was imperative, the attendant said, that they speak to the airport doctor immediately. Park left the plane with Jaemin to see the doctor while Kung stayed behind, rooted in his frustration. He wished the concerned passenger had spoken to him directly so he could have explained that his son’s skin ailment is neither infectious nor contagious. Known as atopic dermatitis, the condition is common in children. As the flight’s departure time became more delayed with each passing minute, Kung realized something that made his heart sink like an anchor: The work of helping his son feel comfortable in his own skin was only just beginning. Jeamin during his family vacation to Hawaii. Jaemin Kung, 12, avid reader, gamer, and musician. 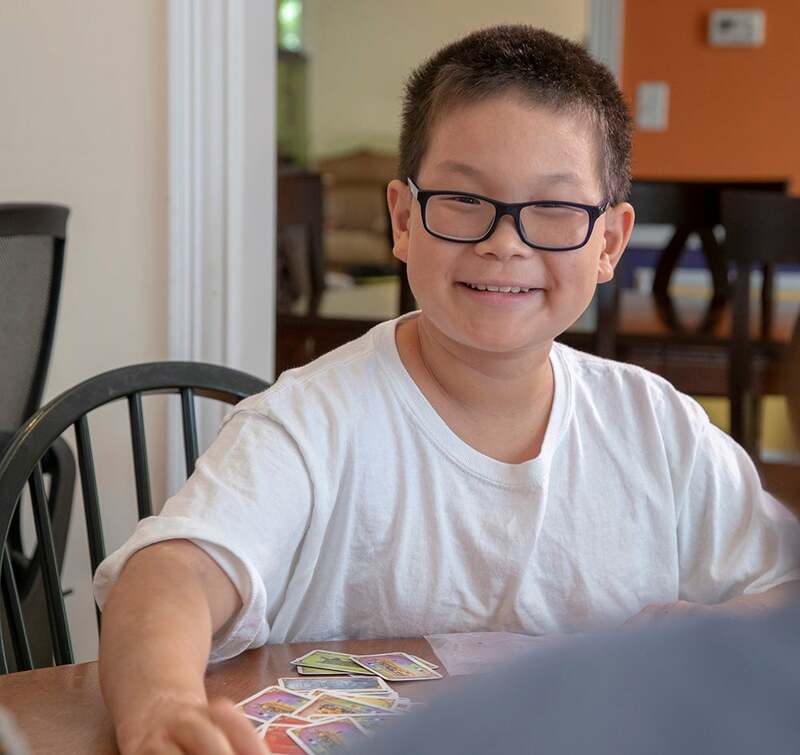 Diagnosed at three months old, Jaemin Kung has lived his entire life with atopic dermatitis, or AD, a condition that disrupts his skin—the body’s natural barrier from bacteria, irritants, and allergens—and compromises his immune system. Patients with AD often experience flare-ups that cause patches of intensely dry, bumpy, red, or oozing skin. The flare-ups lead to uncontrollable itchiness, which, if not avoided, can cause further irritation and increased susceptibility to skin infections, making matters worse and healing almost impossible. 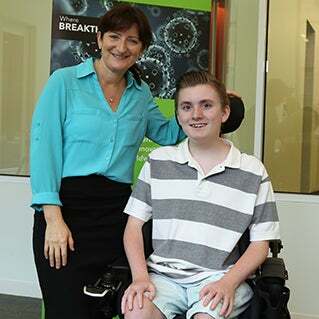 Jaemin’s parents tried their best to keep his symptoms under control and his itching to a minimum, but the affliction they hoped would only be a minor inconvenience for a few years soon came into focus as a major struggle. Doctors prescribed creams like hydrocortisone to help with the itchiness and dryness, but once those became ineffective, stronger treatments became necessary. 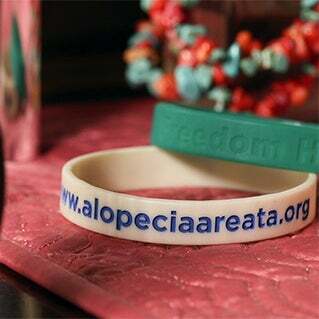 There is currently no cure for atopic dermatitis. Treatments, like topical creams, can help manage symptoms and other measures, like donning wet pajamas to help with the penetration of these creams, can help make life living with such a sensitive condition more bearable. Now that Jaemin is 12 and old enough to understand how important his treatment is to his well being, he’s taking on more responsibility with his self-care. From applying morning creams to taking germ-killing bleach baths every night, he’s taking the right steps to manage the disease so that it doesn’t control his life. “He’s had to grow up fast, but I have full confidence that when he goes off on his own, he’ll be able to take care of himself, have a full life, and enjoy lots of experiences,” Kung says. The Kung family: Eunice, Li, Soomin (10), and Jaemin. 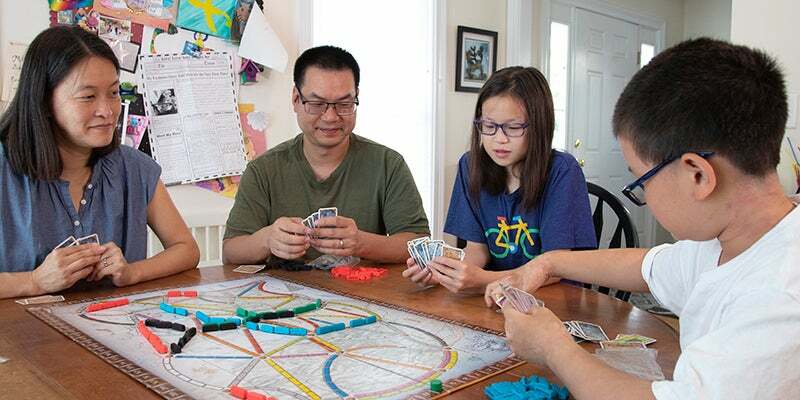 Game nights are a common family bonding activity. And anyone who takes the time to get to know Jaemin would say the same. He smiles easily and often, making jokes that range from observant to immeasurably corny. He loves to fall into worlds of fantasy and science fiction, with the overflowing bookshelf to prove it. He plays both piano and viola as confidently as a longtime pro. And with a collection of board games that rivals that of the most ardent fan of the hobby, he often uses his intelligence and competitive nature to challenge his family to a game night. Atopic dermatitis far from defines who Jaemin is. But the threat of his next flare-up is always lurking, ready to strike and render this vibrant boy and his happy family powerless to its pain. Scientist Jean Beebe, PhD, has worked at Pfizer for 28 years. 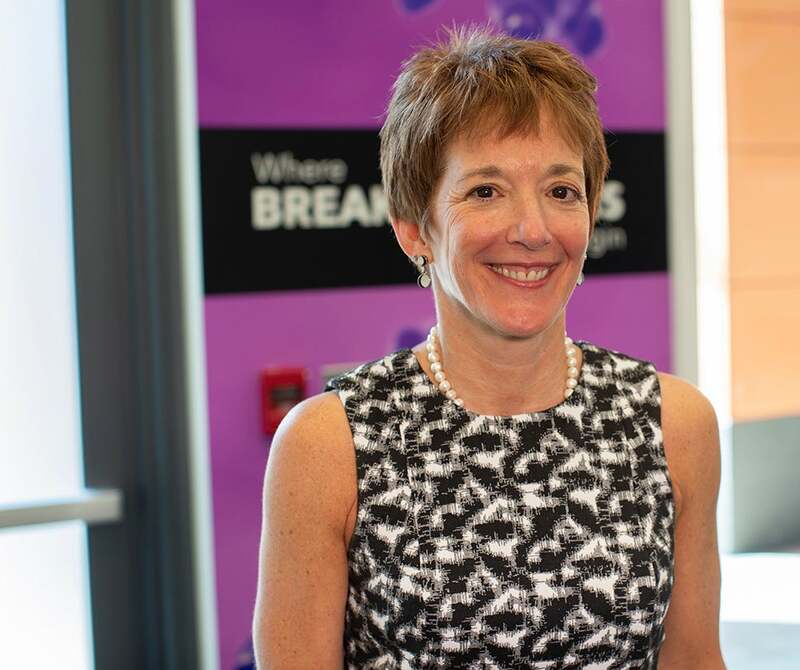 She started her career in the Oncology Research Unit before moving into the Inflammation and Immunology Research Unit, later transitioning to her current work in drug development through clinical trials. Today, she leads multiple teams who evaluate new potential treatments for autoimmune diseases, like the ones currently in trials to help patients, like Jaemin, who suffer from atopic dermatitis. Beebe is well versed in the pathophysiology of atopic dermatitis: the role genetics and the environment play in the disruption of the skin barrier, how the immune system becomes deregulated, and what contributes to the persistent cycle of inflammation-itch-infection. From a scientist’s perspective, this understanding is crucial in the search for a cure. From a researcher’s perspective, these facts tell only half the story. The information Jean values most at this point in her research is the experiences that come from the patients themselves. As Beebe waits for Jaemin and his parents to join her at Pfizer’s outpost near Kendall Square in Cambridge, she reads two letters, one from Kung and Park and another from Jaemin, which share in great detail what their lives are truly like living with AD. Once the family arrives, Beebe poses a question to Jaemin: What would be most beneficial to you in a new therapy? To this, Beebe explains her team’s progress on a new clinical trial currently in Phase 3: They’ve observed positive results from patients given an investigational medicine that inhibits the activity of JAK1, an enzyme thought to manipulate multiple cytokines—substances secreted from cells—involved in the presence of AD. Jean’s team has shown that successfully obstructing JAK1, and its resulting cytokine release, has both anti-inflammatory and anti-itch properties—and the improvement in itchiness occurs rapidly after treatment begins. Their progress with this trial has allowed Beebe’s team to get a breakthrough designation from the FDA. Jaemin rarely forgets his sense of humor, making the group laugh during their conversation at Pfizer in Kendall Square. The group touches on many topics throughout their conversation—like Jaemin’s time at a sleepaway camp for children with skin disorders, Beebe’s understanding of the specific biochemical causes of the infamous itchiness, and the story of a plane ride Kung will never forget—before Park brings up the topic on everyone’s minds: Will there ever be a cure? “You’re welcome,” says Jaemin, now motivated himself to keep up with his treatments in anticipation for new ones—ones that will give him a chance at the life that he and his parents right now can only wish for. 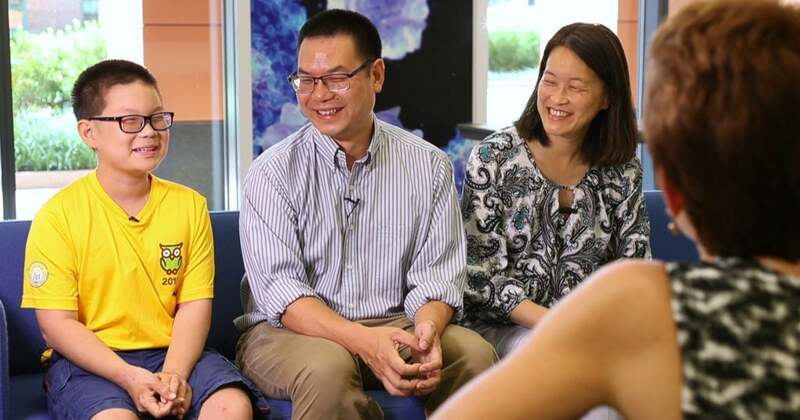 Kung and his family are longtime supporters of the National Eczema Association (NEA) after discovering the organizations many resources and attending their annual patient conference and kids camp. “One of the great things NEA does is bring together all kinds of people who have been touched by eczema,” said Kung. 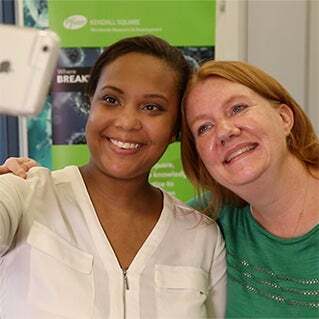 “Eczema never ends and sometimes we really need that connection.” For more information, and to join Eczema Awareness Month activities this October, visit nationaleczema.org.